Every Princess needs her Prince, especially if you are a holly bush which needs a male pollinator to produce berries. Rather than having to buy two plants, we have combined the Prince and Princess together in one pot, to grow as a single bush, so that you can have beautiful red berries for the festive season, without the need to grow two plants. Not only that, but these hollies are much more winter hardy than common holly, so they will grow in colder areas, throughout zone 4. Now almost everyone in the country can harvest their own festive holly branches, laden with berries, even from the smallest garden. 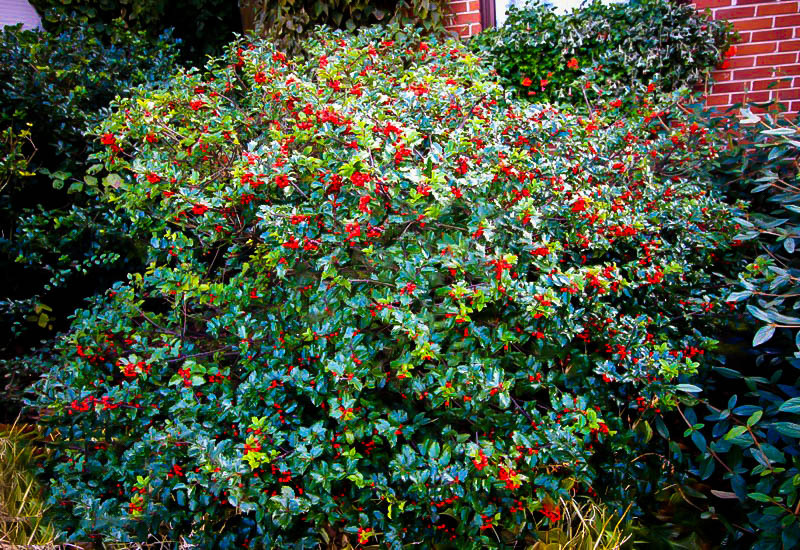 The Blue Prince and Princess Holly Bush will grow in full sun or partial shade, in any garden soil. They will thrive in damp areas, but once established they are resistant to regular summer dryness too. They have no significant pests and diseases, are not eaten by deer, and are easy to grow, needing no special care at all. 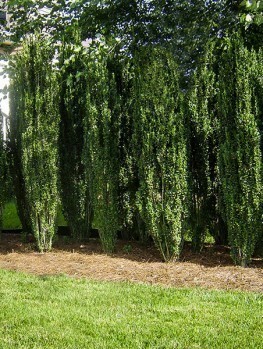 They can be left to grow into a bush about 8 feet tall and the same across, or clipped to keep them shorter as needed. 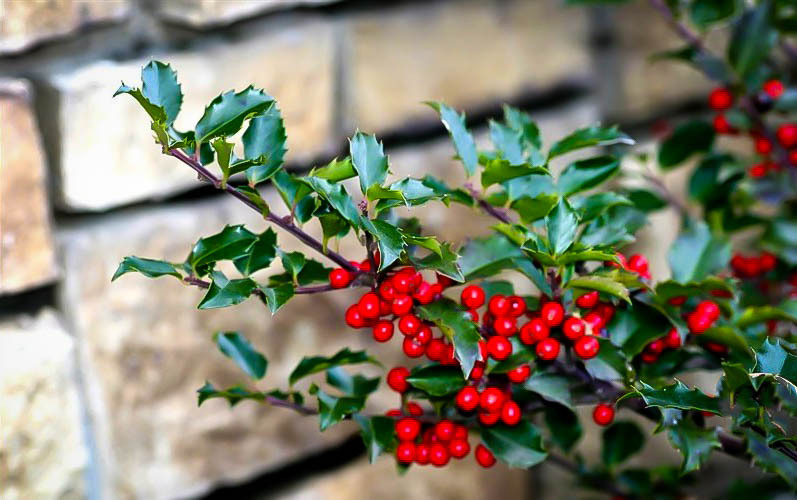 Everyone loves holly for the festive season; Christmas wreathes and decorations are not complete without those bright red berries and rich green leaves. But if you live in cooler parts of the country, you cannot grow most varieties of holly, because they will not tolerate winter temperatures below minus 10. Now we offer you the solution – the Blue Prince and Princess Holly Bush. This specially-bred holly will survive temperatures of minus 30, so it can be grown in all but the coldest parts of the country. 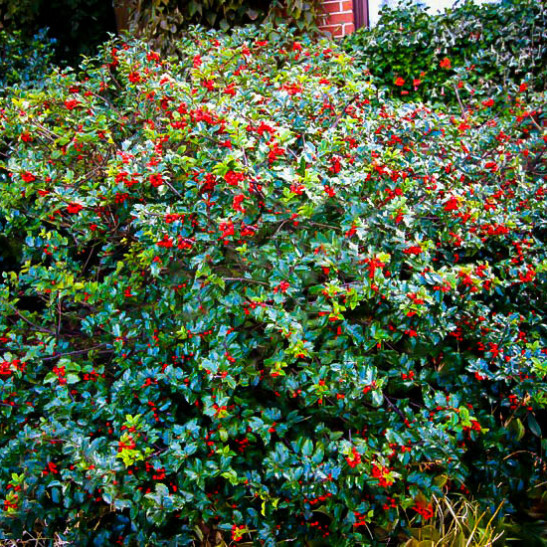 It has the same evergreen, glossy leaves, with spiny edges, plus the same bunches of bright red berries as other holly bushes do. It grows into a dense shrub 8 feet tall and as much wide, or even taller, to 12 feet, in time. The benefits don’t end there, as there is a second issue with growing holly. Lots of gardeners plant a holly bush, not realizing that this plant is unusual, because there are separate male and female trees in the holly family. That’s right – a female tree, which makes the berries, cannot do it unless there is a male tree nearby. So that tree you might be tempted to buy one Christmas, covered with berries, will never produced any more berries for you, once you plant it in the garden. The only thing you used to be able to do was plant a second bush, this time a male, but that means growing two plants. If you have the room we certainly do sell Blue Prince Holly and Blue Princess Holly as separate plants, ideal for making a hedge or planting a larger area. For a smaller, hardy holly bush we also have the lovely Blue Girl Holly. 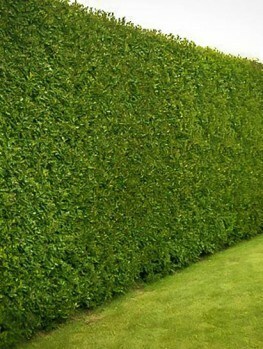 All of them are hardy and attractive bushes that will be a real asset in your garden. 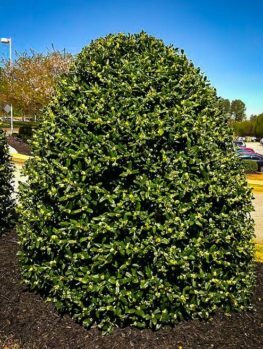 Here at the Tree Center we are always looking for ways to give our customers more convenience, and we know that some of you only have room for one bush. So we talked to our growers and they prepared pots that have a plant of Blue Princess Holly and a plant of Blue Prince Holly, growing together in the same pot. That way they will intertwine and form a single bush, with lots of berries, making the perfect solution for the smaller garden. 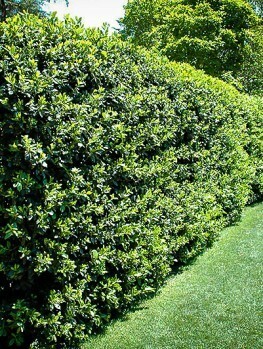 Additionally, the Blue Prince and Princess Holly Bush will grow 8 to 12 feet tall if left unclipped. Plant your bush in a sunny or shady location – it will be happy in either, and if you live in zone 4 choose a sheltered spot to plant your bush. You may find that in a hard winter in the coldest areas the upper branches may die back, but the lower parts of your plant will be just fine. If that happens you will not have such a tall plant, but you will still have a great harvest of berries for the festive season. Kathleen Kellogg Meserve moved to her ten acre garden in St. James, Long Island shortly after WWII. She was a keen gardener who loved holly but found that the common holly, Ilex aquifolium, did not grow well. That holly is a native of Europe, and Britain. It grows well in more southern areas, but in the northern states the winters were just too cold. 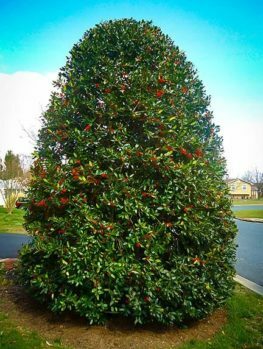 Mrs. Meserve collected many kinds of holly trees from around the world and found that one, the prostrate holly from Japan, Ilex rugosa, was extremely hardy and never suffered any damage in winter. She took pollen from the Ilex rugosa and used that to fertilize some flowers of the common holly. 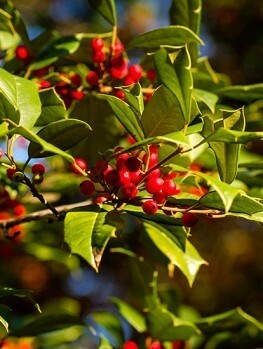 When she grew the resulting seeds she found that the plants were attractive like the common holly, but hardy like the prostrate holly – she had found the perfect holly for colder climates. Her plants all flowered at slightly different times, so she paired up the ones that flowered together and ‘Blue Princess’ and ‘Blue Prince’ were a perfect match – the ideal couple. ‘Blue Princess’ also produced a heavier crop of beautiful red berries than any of her other plants. We have paired these two varieties together as a single plant, to give you lots and lots of berries from what will grow into one beautiful holly tree. 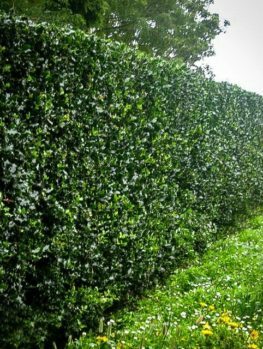 If you live further south, where the Prince and Princess find it too hot, and you want just one holly bush that has berries, we recommend the Foster Holly Bush, which is a very special female bush that produces berries all by herself – a very self-sufficient lady. Now you can grow a single holly bush, even in cold areas and have a big crop of berries for the festive season. 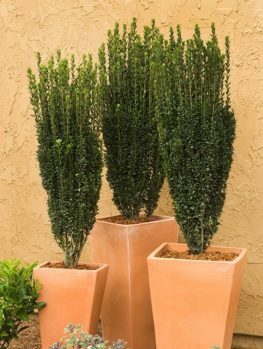 We are proud to be able to offer this alternative to our customers with small gardens, but the demand for these special plants is high and our stocks are limited. So to enjoy a great crop of holly berries, in the coldest places and the smallest gardens, order the Blue Prince and Princess Holly Bush now – don’t wait and risk disappointment.